Rival Gaming is probably considered to be one of the newer gaming software providers even though they have been around since 2006. They tend to specialise more on the slots side than the table games side and have over 120 slot games available. They are also the owners of the innovative islots which are becoming popular amongst slot players as these slots are interactve and you get to work through various levels. Each islot also has a storyline attached to it. Rival Gaming also recently launched 3D slots and many of their casinos are Mac friendly too. 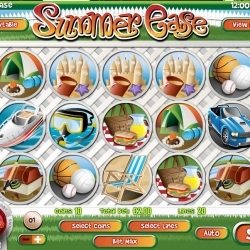 Rival Gaming has launched Summer Ease Slot which is a 20-line, 5 reel slot. Get ready to make waves and win big bucks when you get 3 or more Boat Icons. Take your motorboat out on the water and see how fast you can make it to the finish line while avoiding buoys. Jolly Roger's Jackpot is a brand new 5 Reel, 50 Line Rival Gaming video slot. Coins of Olympus Slot is a Rival Gaming Slot features an impressive Jackpot. Coins of Olympus also has a Wild, Scatter, Multiplier, Free Spins and a Bonus Game. Coins of Olympus Slot Review. Read Our Review of A Switch in Time Slot which is another Bonus Feature Slot from Rival Gaming.